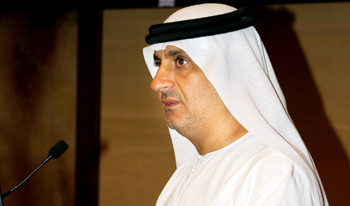 EXPO 2020 is likely to create 277,000 jobs, said Mahmood Ahmed Al Bastaki, CEO of Dubai Trade, Dubai World. Delivering the keynote address at the first-ever industry breakfast series hosted by the University of Wollongong in Dubai (UOWD) recently on “the challenges for the future of human capital development in the UAE,” Al Bastaki highlighted the bright employment opportunities stemming from Expo 2020 but also expressed the need for a sustained approach towards career development and placements. Future workforce challenges, the expanding SME market, employee retention and succession and implementation of Emiratisation policies were among the many topics debated at the industry breakfast event that was attended by over 60 senior executives representing a cross-section of UAE business community. Al Bastaki said academia would have an important role to play in Expo 2020’s success through aligning future curricula with the vocational needs of emerging industries. Dubai can effectively leverage the interest generated by Expo 2020 and other strategic initiatives to create a dynamic and diverse economic future, of which education would be a crucial part, he added. Continuing the debate, Al Bastaki was joined by a panel of leading industry practitioners, including Sadiq Al Mulla, chief administrative and finance officer, Zayed University; Fareda Abdullah, vice president, human resources, Majid Al Futtaim; Abdulaziz bin Karam, manager of excellence and strategy, Fujairah Municipality, and Ronald Uchil, senior vice president, corporate excellence and HR, Gerab National Enterprises. The panel considered the ongoing expansion of the private sector in the UAE, particularly small and medium-sized enterprises, and the challenges of offering employees not just a job, but a career, in such a dynamic marketplace. Al Mulla stressed the need for employee-focused training and development to attract, retain and grow a sustainable workforce. The policies and practices of Emiratisation were also discussed, with Karam highlighting the need for unified policies across the public and private sectors as well as a change in mindset amongst employers. Abdullah underlined related challenges for female employees aiming for top positions in the commercial world saying there was still a need for attitudinal education in some areas of business. Commenting on the challenges for the education sector in meeting the future needs of industry, Uchil proposed career counselling at a younger age, and the panel agreed that higher education institutions had a pivotal role in developing the strategic alliances that would enable education to work hand-in-hand with industry for the benefit of economic diversification and growth. This event was the first in a series of industry breakfasts hosted by UOWD’s Faculty of Business. The series brings together prominent business men and women from across the UAE to debate some of the emerging business challenges facing the country – particularly in the run-up to Expo 2020 – and to consider how the higher education sector can help to address some of these key issues. Established in 1993 by one of Australia’s best research and teaching universities, the University of Wollongong, Australia, UOWD is the first foreign university in Dubai to be licensed by the UAE Ministry of Higher Education & Scientific Research. Located in Dubai Knowledge Village, UOWD hosts students from almost 100 nationalities.